UPDATE: As of April 5th 2016, Green Smoke has decided to stop selling in the UK. 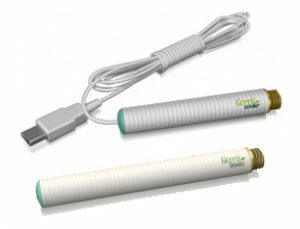 If you are stuck with Green Smoke cartridges or batteries, you can get a FREE adapter that fits perfectly with / onto your Green Smoke supplies here. 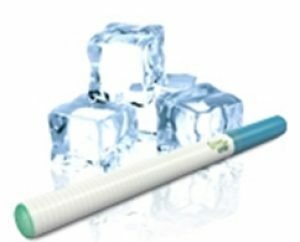 If you have been searching for an electronic cigarette, you have probably already come across Green Smoke several times. Currently, Green Smoke is one of the most popular e-cigarettes across the globe. Even though Green Smoke was founded in the United States in 2008, it wisely opened up a UK office just one year later and close to two dozen more in the European Union and Asia. While it is clear that Green Smoke is a global leader in electronic cigarettes by sheer size alone (over 50 million products sold), we wanted to know what all the hype was about. Is it the flavour? Is it the amount of vapour? Is it the overall quality of the products? Or, is it just well executed publicity? So, we ordered the all-popular Green Smoke Pro Kit that has all of the parts needed for a review. Without further ado, let’s take an in depth look at Green Smoke e cigarettes. When we received our Pro Kit from Green Smoke, we were impressed by the intricate artwork on the packaging. The Green Smoke logo appears on the top of the box, with a beautiful nature theme in the background. This sleek box comes with a strong magnetic flap to hold everything shut. When you open the box, you are greeted by 3 batteries encased in a foam holder. In the underbelly (after you remove the foam holder), you will find the 2 cartomiser packages you selected along with a wall charger, a USB charger, and a carry case. Everything is packaged neatly and to perfection. Essentially, you can immediately tell that Green Smoke cares a lot about their brand appearance. But, what about the products themselves? Green Smoke was the first e cigarette company to use the KR808D type lithium ion polymer battery. In addition to this, Green Smoke made their own proprietary tweaks to further enhance the battery’s performance. For beginners who do not understand this terminology, the KR808D is a significant upgrade over its predecessor, allowing the battery to operate much longer. Green Smoke’s long batteries now last an average of 375 puffs (which equals to roughly 8 hours of standard vaping usage) while their short batteries last about 300 puffs (about 6 hours of standard vaping usage). Due to the battery upgrade, the responsiveness from taking a puff is nothing short of amazing as well. With other e cigarette companies, you may need to take a few drags (in order to heat the liquid) to see your first desired amount of vapour. This is not the case with Green Smoke as a decently sized vapour cloud can be seen from the very first drag. More importantly though, the battery is more powerful now but not too powerful, which ensures a good vapour amount and stellar throat hit. Here is a little known fact about the electronic cigarette industry: it is nearly impossible to perfect the throat hit. Getting the battery power correct in conjunction with the amount of vapour and nicotine takes, quite literally, thousands of hours of testing. Green Smoke, however, has this down to perfection. Every drag yields an incredible amount of vapour and just the right amount of nicotine for a remarkable throat hit. As for charging times: Green Smoke does a great job, but they do not completely stand out from the rest of the competition, as the technology is standard (i.e. anyone can pretty much replicate this). All that said, the charging time is still better than the industry average – roughly 3 hours for the long battery from dead to full and approximately 2 hours from dead to full for the short battery. Additionally, Green Smoke batteries are one of the longest lasting electronic cigarette batteries out there as mentioned above and are most certainly top performers. Every company employs the use of catchy names for their various products. Green Smoke is no different. Back in 2011, Green Smoke announced a new technology in regard to their cartomisers which they called “FlavorMax.” This technology, per Green Smoke, was to prolong the cartomiser usage and taste. So, was this just more marketing hype from another company? The answer is an astounding no! Every cartomiser package has 5 individual cartomisers in them. Each individual cartomiser lasts for, on average, 250-275 puffs. This equals to about 1 and a half packs of regular cigarettes. To put that in perspective, the industry average is around 175-200 puffs per cartomiser. So, you are getting about 50% more out of your Green Smoke cartomiser than from any other brand selling pre filled cartomisers. Green Smoke is, in our opinion hands down, the leader in flavour quality and taste. Each one of their flavours has been tested and retested for ultimate satisfaction. The only downside is that Green Smoke only offers 6 flavours – Signature Red (formerly known as Red Label Tobacco), Classic (formerly known as Absolute Tobacco), Southern Gold (formerly known as Tobacco Gold), Menthol Ice, Mocha Mist, and Smooth Cream (formerly known as Vanilla Dreams). They used to offer another flavour called Mountain Clove but discontinued this several months ago. We would like to see more flavours out of Green Smoke because of their brilliance. As for the flavours themselves: we were blown away. We started off with 2 packs of cartomisers because that is what the Pro Kit comes with. So, we chose Mocha Mist and Signature Red. However, for the review, we wanted to test all of the flavours so we also ordered Menthol Ice, Smooth Cream, Southern Gold, and Classic (and also Mountain Clove since it was available at the time of writing this Green Smoke review). In our opinion, the top 3 Green Smoke flavours are Signature Red, Mocha Mist and Menthol Ice. Signature Red is extremely rich and aromatic – we strongly recommend this unique tobacco flavour to everyone. We did not like the Smooth Cream (and Mountain Clove) cartomisers because we personally don’t like those flavours, not because the richness or boldness weren’t there – they were. Overall, the quality of the liquid inside the cartomisers are top notch and do not burn or taste like it has been roasted after a few drags. Rather, they last until the very end which is extremely uncommon in the e cigarette market. 2.4% – equivalent to 24mg. This is the strongest nicotine level and is a great choice for anyone who enjoys strong traditional cigarettes such as Marlboro Reds. 1.8% – equivalent to 18mg. This is the ideal choice for most regular smokers as it has a nice throat hit but is not too strong. 1.2% – equivalent to 12mg. This is perfect for anyone who prefers Marlboro Lights. 0.6% – equivalent to 6mg. This is for very light smokers who like the equivalent of Marlboro Ultra Lights. 0% – contains no nicotine. Another little known fact: in the infancy of the e cigarette market when Green Smoke was just emerging as a household name, the electronic cigarette market had pretty terrible quality customer service. However, Green Smoke distanced themselves from the competition by offering quality customer service you would expect, which was the main factor of what propelled them to stardom. We would like to happily point out that Green Smoke has not strayed from this strategy. Green Smoke is one of the only companies to employ the use of all 3 major customer service channels: phone (toll free and local options), e-mail AND live chat. You can expect almost instant replies via phone and live chat. Customer service hours are from 9AM-9:30PM Monday-Thursday and 8AM-12:30PM Friday. The representatives are helpful, knowledgeable about their products and friendly. As you can see, the prices dropped significantly to the point where it makes it very difficult for customers to look anywhere else but Green Smoke. Another way to save even more money by purchasing from Green Smoke: you can save an additional 10% off kits by using our discount code disc10-31054 (or 5% by using disc5-31054). If you still are not sure that Green Smoke is right for you (which we are confident they are), don’t worry. Green Smoke offers a 30 day money back guarantee with absolutely no strings attached. If for whatever reason you do not like the product, simply ship it back and they will refund your money. This applies for any Green Smoke kit. This seems more than fair to us and is one of the best warranties on the market. All Green Smoke products ship from the UK which makes product arrival quick. You can expect your Green Smoke products to arrive within 2-5 working days (it will generally arrive within 2-3 days though from our vast experiences with Green Smoke). Shipping is completely free no matter the size of the order. Green Smoke UK also offers special delivery for an extra £7.49 should you request it. In our opinion, there is no better electronic cigarette company to purchase from than Green Smoke if you are looking to buy a cig-a-like e-cigarette. The packaging and elaborate design were taken into careful consideration which tells you something positive about a brand. While we would like to see more flavours, the flavours themselves and the battery performance are among the best in the industry. The throat hit has been perfected which is the most notable aspect of their product. The customer service is top notch. And, the price is so reduced that it makes purchasing a Green Smoke starter kit a no brainer. The only downside to Green Smoke is that if you are looking to upgrade to a vape pen, you will have to look elsewhere as Green Smoke doesn’t offer anything other than cig-a-likes. Backed by their 30 day money back guarantee, Green Smoke is by far the best cig-a-like e cigarette and value proposition you will find.